He seriously built this on his own. Not sure if this is a deliberate design or a happy accident. Either way, it made me super happy! I'm really enjoying the things this kid is building. 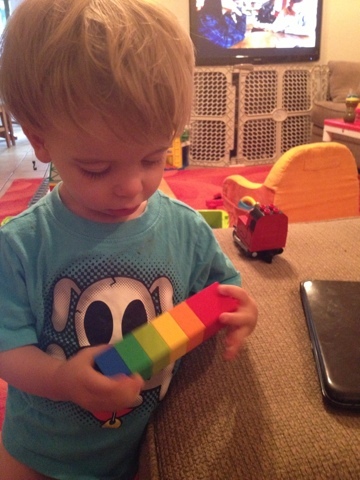 He is 18 months old and just amazes me with his vocabulary and DUPLO skills. He really is a sharp kid, so the rainbow didn't surprise me too much.